Visitors to Marrakech often take a day to venture into the High Atlas Mountains, which dominate the eastern horizon, less than an hour’s drive away. Besides mountain air and gorgeous scenery, they find many villages of the indigenous Amazigh people. (The Amazighen are better known as the Berbers, a name which derives from the ancient Greek or Roman for barbarian.) 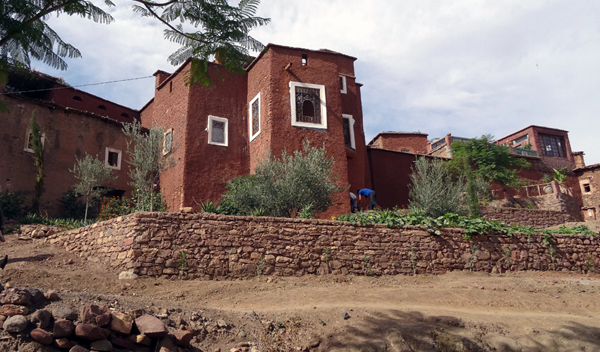 Tafza is one such village, about 37km from Marrakech, on the edge of the Ourika Valley. 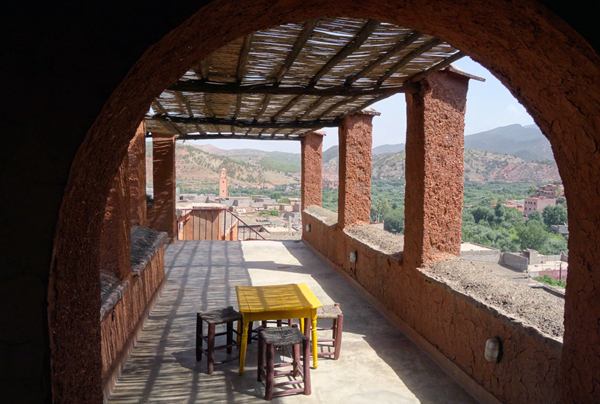 It’s a typical Atlas village, friendly and scenic, with at least one notable distinction – the Ecomusée Berbere (Berber Ecomuseum). 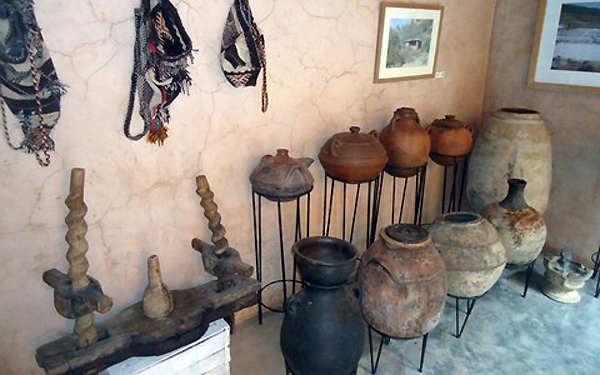 This exceptional little cultural museum is housed in the restored ksar of a former caïd (castle of the tribal chief). 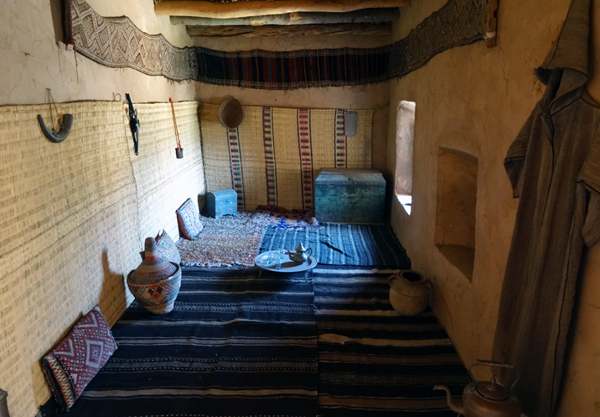 The collection is well curated and includes rugs, tools, musical instruments, pottery, jewelry and fascinating antique photographs of Atlas village life in the early decades of the last century. The local hosts are knowledgeable and amiable guides and proud representatives of their heritage. With advance reservation, guests can have a meal on the ksar’s large terrace, with broad mountain-valley views. Also with advance notice, more extensive experiences are available, such as traditional pottery workshops and walking tours of the village and environs. The Ecomusée Berbere is partnered with another fine museum, Maison de la Photographie in Marrakech, which we wrote about here. This entry was posted in Morocco and tagged ecomusee berbere, high atlas mountains, Marrakech, Morocco, ourika valley, tafza by yalla2013. Bookmark the permalink.